The FAA has officially prohibited Personal Electronic Devices in the flight deck. Undoubtedly because of the overfly of Minneapolis a few years back. I'm wondering if this is another reaction that was not fully thought through. I agree that in the domestic operation arena, where radio contact is ongoing and the flight is busy, that this is a great rule. But on the international flights, where we fly hours without speaking to anyone compliments of CPDLC, this rule is unnecessary. 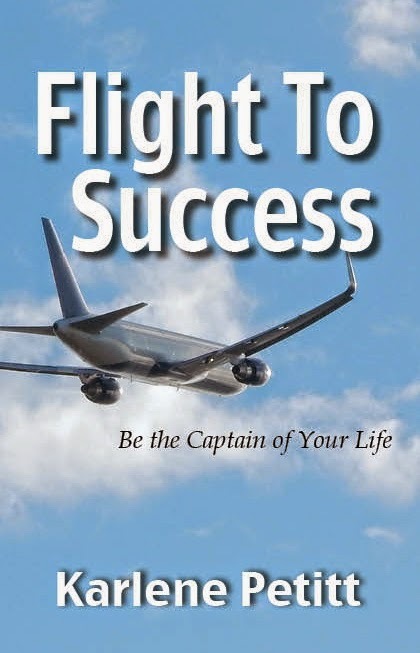 The greatest challenge on an international flight, crossing the ocean on the backside of the clock is fatigue. How do we battle a problem that is here to stay? We mitigate the possibility of falling asleep while we fly. Droning on into the night with idle minds has the effect we want to avoid. Numerous studies have shown that one of the tips to help fall to sleep is to NOT watch television or work on your computer at a minimum of an hour before bedtime. The light suppresses melatonin production and stimulates brain activity. I'm not sure about you, but I want my pilots alert with stimulated brains. Give them something to do to keep them awake. Personal Electronic Devices or Not? 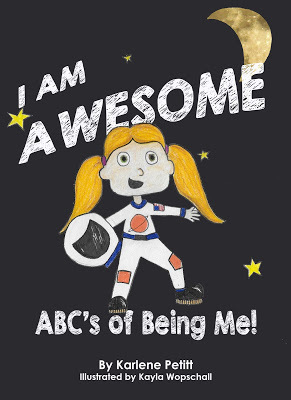 On a side note: Without videos and photos from our jobs, what will we have to inspire the future generation of pilots? Life is beautiful. We must document it. Enjoy the journey and stay awake for it! Purpose: This InFO provides information to Title 14 of the Code of Federal Regulations (14 CFR) part 121 air carriers regarding the prohibition on personal use of electronic devices on the flight deck. Background: Part 121 § 121.542 (d) (effective 4/14/14) prohibits flightcrew members from using a personal wireless communications device or laptop computer for personal use while at their duty station on the flight deck while the aircraft is being operated, unless it is in accordance with FAA approved operational procedures. This prohibition is intended to ensure that non-essential activities do not affect flight deck task management or cause a loss of situational awareness during aircraft operation. • This prohibition includes any personal use by flightcrew members of these devices, including, but not limited to, talking, texting, bidding for schedules, reading or accessing the Internet. In other words, all personal use is prohibited, whether or not the device is in “airplane mode”. 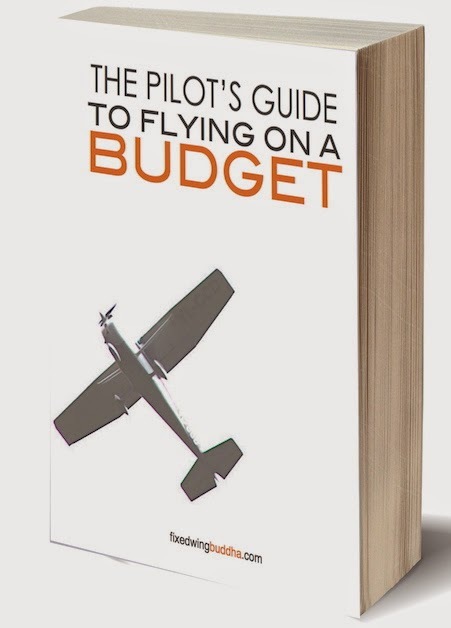 • “FAA approved operational procedures” (e.g., use of electronic flight bags, digitized charts or manuals) are those procedures that have been developed by the air carrier and have been approved/accepted, as appropriate, by the FAA. • This prohibition does not apply to a person occupying a flight deck jumpseat. • The prohibition applies regardless of any “ownership” test. The rule does not differentiate between devices owned by the air carrier or the flightcrew member. Rather, the rule requires a “use” test. These devices (regardless of ownership) may not be used for personal use during aircraft operation but may be used only in accordance with FAA approved operational procedures, as defined above. Recommended Actions: This prohibition on personal use of electronic devices on the flight deck in the final rule is applicable only to operations under part 121. However, Directors of Safety and training managers for all operators under parts 135 and 125, as well as part 91K, are encouraged to include operating procedures in their manuals and crewmember training programs prohibiting flightcrew members from using such devices for personal use during aircraft operation..
Am I understand right that under FAA it can be alowed to use company iPad for charts on the flight deck but at the same time the use of personal iPad would for the same thing can be prohibited? Secondly … is this the end of cockpit view videos? Have a nice day Karlene! Oh... I did not think about that on the cockpit videos, but yes. If you are operating... absolutely cannot use them. From part 135 operators. The rest of the operators are encouraged not to. I'm so sad with all this. Just a shame. This is a really pointless rule, though...hopefully it won't be long before it's overturned. Maybe the airlines will do some lobbying. Thanks Christine. And I like the way you think. The jumpseat can be the culprit. Yes, let's get this overturned! I say yes to personal devices. They help keep one awake which is probably the MOST vital thing for a pilot. I know that such things can be distracting, but driving a plane is nothing like driving a car. The long hours of international flights, or even flights to Hawaii, something to keep one awake is a must. Thanks Heather! You are so right. 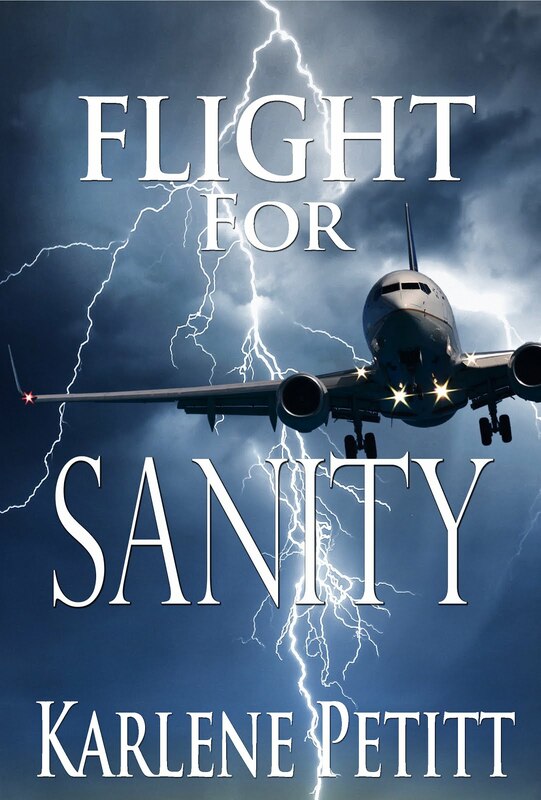 Maybe we should invite the FAA to sit as a passenger, not read, not watch movies, not work on their computer... do nothing and they must stay awake for the 8 hour flight. They could not do it. Most times that I have had the FAA in the jumpseat, they "study the overhead panel" during the flight. In my experience, most pilots seem to simply ignore this rule. We're not robots. 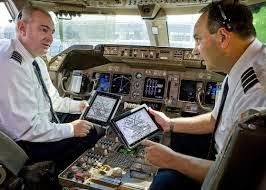 My airline uses iPads for charts and, during cruise flight, I'll often flip over to a magazine or newspaper app, or study company manuals before a training event. This isn't uncommon. My phone also contains saved articles, a crossword game, flashcards, and other study material. They say multi-tasking isn't truly possible for the human brain, and I agree, but for passive tasks like driving, running, or sitting in an airplane cockpit for hours glancing periodically at the flight's status, a second focus is certainly possible. I enjoy flying, but I won't let my brain rot because of it. It's sad to see the sorry mental state of older pilots who haven't engaged in much critical thinking over the course of their careers. Filling unused time, whether on days off or during hours spent aloft is absolutely necessary for me to do this job. Does that mean I should look for employment elsewhere? I'm not sure. Occupying oneself in the cockpit isn't a new concept. You have said it all in the filling of the unused time is what has kept me going too. We must keep our minds active and alive. 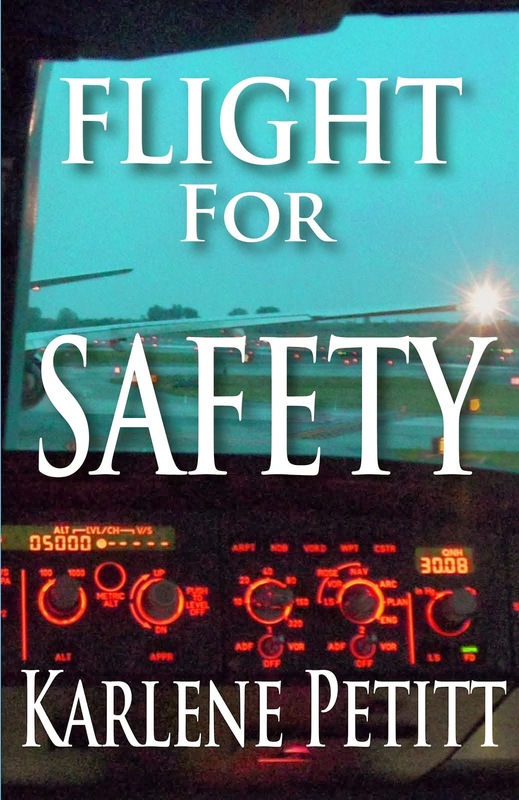 And the bottom line... in the interest of safety pilots have final authority. This would be a great battle to take on. Bring a real book, they did not prohibit that yet, did they? No just kidding, I'm with you on the topic you need to keep your brain busy to do this job. This seems like a very frivolous and unnecessary regulation. A PED isn't the only reason that someone could make a mistake. They could get into a book/newspaper/etc., distracted by conversation, etc. The truth is flying is about keeping your mind engaged and active. You can only scan the instruments and so often and make minor adjustments to the EFIS control panel before your mind will see activities as mundane and repetitive. Given this logic, crews shouldn't eat or drink anything because it could be a distraction, nor should they be allowed to use the lavatory because of the potential risk it poses. Facepalming with you! Perhaps we need those creating the regulations to have experienced the environment. This is one of those, "we didn't think it all the way through" rules. Sigh. Great post Karlene, as you said I think this wasn't thought out well. I have a "nook" which I often use instead of a book for reading a new book or a series of books and that is now illegal for me to use in the cockpit. As usual I think the FAA perhaps thought that anyone can deal with not using electronic devices for a few hours. But what about the pilots that are on hour 13 of a 15 hour flight just trying hard to stay alert. You know quite well that when it's dark and quiet out over the ocean it can be a challenge to stay alert. For me sometimes taking a break from my book and playing solitaire or something on my cellphone or ipad is what I need to stay awake. Absolutely... we've both been on those long haul flights, and we need to do what it takes to keep our brains alive. This is one of those issues that I am going to do my best to get changed. This is conflicting to safety and someone wasn't thinking. Thank you so much for sending me this rule. I had no idea they slipped it in. One of the most absurd rules to ever come down the bureaucratic pipeline. The FAA has never been big on trying to understand the REALITY of humans flying airplanes...they're more interested on what LOOKS GOOD ON PAPER. Even the origins of this ridiculous rule go back to a fallacy: does anyone out there REALLY believe the Delta pilots were doing their scheduling? They were fast asleep! They claimed to be doing their bidding--I CALL B.S!! But apparently the FAA didn't, and used it as a knee-jerk to slap one more absurd rule on pilots, completely IGNORING the realities of fatigue. This rule even makes illegal the simple reading of a magazine, if it's on an iPad! Absolutely absurd, and a HINDERANCE, not a HELP to SAFETY! PS--the way I'm reading it, I'm NOT necessarily seeing anything prohibiting use of a camera...but I don't think I'll be pushing it to find out. Eric, Thanks for your comment. Initially I had not thought of the camera, but the first comment brought that up. A camera is a portable electronic device. Unless we can find a definition that does not include the camera. I'm on that task now! And yes... we all have our flashcards, manuals etc, on our PEDs....and we can't read them. Something I will do my best to change. But... read Christine's comment on the camera. Make the jumpseat responsible. "A portable electronic device (PED) is a lightweight, electrically or battery-powered piece of equipment. These devices are typically consumer electronic devices capable of communications and data processing, such as a tablet, e-reader or handheld computer games. Please note that mobile phones are not considered PEDs in "this context" and thus may be used only when the boarding door is open and during taxi to the gate after landing." However, we have always been allowed to use cameras in the back... so I'm going to go with the definition they are not PEDs! This does not prohibit cameras, does it? The rule is not the same as a passenger PED - the FAA here explicitly states 'wireless communications device or laptop computer'. So as long as you are not using a gopro (which has wifi) then it shouldn't be a problem. Simon, I just found this hiding in the moderation page. I hope you're correct. The broad use of the term electronic devices, as a camera today certainly is. But we are not reading. And then the question is if it is a non-essential activity or not. That would lead to question. Thank you so much for your input!! So I guess we'll just do crossword puzzles then? And then we have to ask... if that's allowed then why not anything else? Many have their puzzles on the ipad now. lol. Ahhh... such a world. Okay, take a breather, sit down. Oops, take another breather. Grab a glass of whisky. Wait, who did this? Oh, yes, the FAA. It says: "How can we allow PEDs and PODs without allowing them?" - Impossible algebra. Einstein refuses on this one. Oh, another one: "How can we connect to the world without internet and wireless PEDs and PODs?" If you see at the very bottom of the blueprint, it says "NexGen has PEDs and PODs. NexGen does not necessarily have PEDs and PODs". Another breather. Glass of water. Dose of whisky. Feeling a bit dizzy. Put on your glasses. Seat belt fastened. Flight Attendant coming. Grab your iPad. It's against Federal Law. Now, where is Judge Judy? Lol... we are all confused. But that's okay... a regulation will soon be written to regulate or mandate non-confusion. Help is on the way. This contradicts many principles. One of them is Global Mindset. Regulators must follow a market demand based measure, so allowances can be discussed and decided in order that it doesn't hurt cultural and popular tendencies. Safety is the number one priority, that's crystal clear. Whether decide if PEDs are allowed or not, let demand tell us. We obviously can conciliate PEDs with safety. I find this FAA measure outrageous and absurdly unnecessary. I think that they are paying professionals to do the job they were trained to do. We should have some accountability for our actions without regulation. I would hope. I agree... absurd. Thank you so much for the comment! So can you take a picture of a sunset with your phone at cruise(in airplane mode)? This is part of the regulation from above: "all personal use is prohibited, whether or not the device is in “airplane mode”. Sigh. I don't think so. Sorry, I'm late to the game here with comments. First, I guess it's okay to play chess, scrabble, or any other game that's not electronic. Is it okay to gamble... poker... use real money? I've played Battleship while flying. Would that be against the rules? I put this in the same category as elected officials trying to ban people walking and talking on their phone at the same time to save them from walking in front of cars at intersections. The core problem is distraction vs the method of their distraction. PED's are not the core problem. Being distracted from a critical "thing" is the problem. I'm surprised this rule wasn't up for public comment. Maybe I missed it. Seems to me the "union" should be all over this in the same sense they are over crew scheduling/workdays and such. The whole rule smacks of being "arbitrary" and without real empirical data to back up the implementation of a global personal use PED rule ban. There in lays the problem... they are not looking at the problem. I missed the public comment on this one too. A friend sent it to me as his airline sent it out to the pilots. One of those rules that slipped in and nobody heard about. One of the many things to work at during my adventure at ERAU. Thank you so much for your comment! This is my take on it, and I apologize in advance for the verbosity. Feel free to skip to the bottom if you don't want to read the source information. According to 49 U.S. Code 44732 – Prohibition on personal use of electronic devices on flight deck, “Personal Wireless Communications Device(s)” are prohibited while at the flight crewmember’s duty station on the flight deck of an aircraft while the aircraft is being operated. In this section, a “Personal Wireless Communications Device” is defined as a device through which personal wireless services (as defined in section 332(c)(7)(C)(i) of the Communications Act of 1934) are transmitted. With regard to the statement above, and according to 47 U.S.C. 332(c)(7)(c)(i), the term “personal wireless services” means commercial airplane mobile services, unlicensed wireless services, and common carrier wireless exchange access services. In sum, the common consensus seems to be that if the device can utilize wireless services, then it cannot be used, even if those services are deactivated. This was all created in an attempt to reduce “distraction” in the cockpit. If you read through the regulation, many opposed to the regulation stated how we have long been using various media to stay awake during long flights. 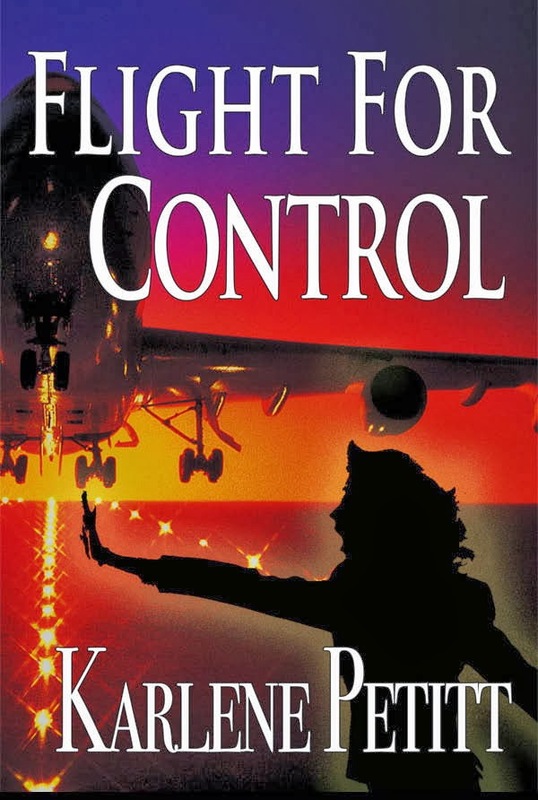 The FAA didn’t strictly oppose different types of media per se, but stated several incidents in which use of PEDs adversely affected the safe outcome of the flight (one was the overflight in Minneapolis, the other was a helicopter that took off and exhausted the fuel supply shortly thereafter). As of now, via this interpretation, it is safe to assume that GoPros would be banned because they have the capability to use the “wireless services” as defined in the Communications act of 1934. Certain cameras would even be banned, due to their ability to send the data via a wireless network. Where the FAA will have the hardest time drawing the line is defining what is necessary and unnecessary for safety of flight. 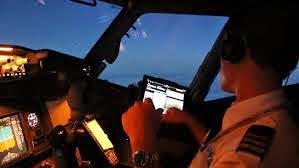 Pilots can use company-issued tablets to study company materials for testing, and if they get busted, they can merely state that they were researching something related to the flight and trying to find an answer. 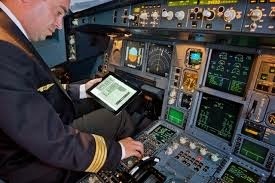 Unless the FAA starts monitoring activities on company-issued tablets, they will have a hard time enforcing this rule. I also have no doubt that many pilots will continue to use their company-issued devices to take pictures. For now, per the FAA, we can still use crosswords and stuff but they must not be in digital form. Bryan, Thanks for your comment. I think distraction during high workload is one thing and boredom and fatigue on the long hauls is another. I'm wondering if they will ever define the two areas and the different challenges between. Great comment! Sigh. I was really looking forward to taking my first cockpit picture as an airline pilot in the next couple years (responsibly at cruise, of course). I wish they would leave electronic use in the hands of the pilots and let us use our discretion, common sense, and judgement when using our devices. 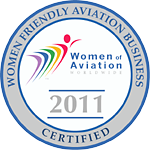 They did certify us to fly the aircraft trusting us with the aircraft and the passengers onboard- yet they do not trust us with our cell phones or tablets. After all, didn't we each take an unspoken oath to always hold safety in the highest regard? And that professionalism for our craft is stronger than any law when it comes to guiding us toward safety. Brittney, this is what I'm working on in school. 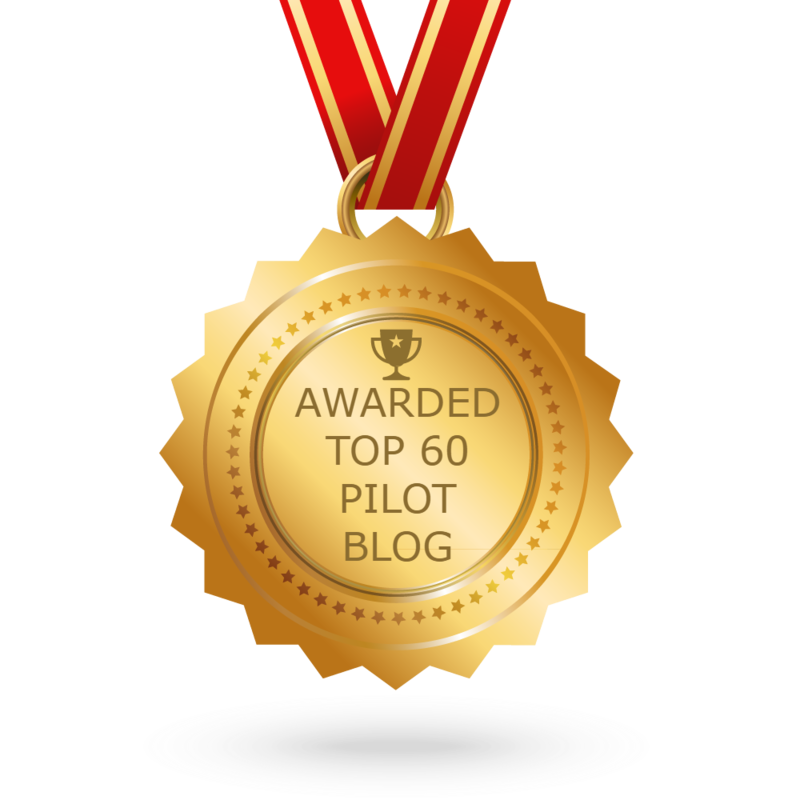 Put responsibility back into the pilots hands! So... here is what you do. You put your camera in "manual" mode. :) Or... you get out of your seat, giving command to the other pilot, and take a photo from the jumpseat. Which wouldn't it be safer in the seat? I don't think they were talking about cameras specifically. There is a clarification issue here. But... a camera speaks volumes and if there were an incident at that moment, we would have it recorded. So... I'm with you! Keep the faith... clarification coming soon! Fly safe and I hope you come fly with me. You bring up some good points - a recent study with pilots in Sweden shows the blue wavelength light effective as fatigue countermeasure. Read the research behind this.